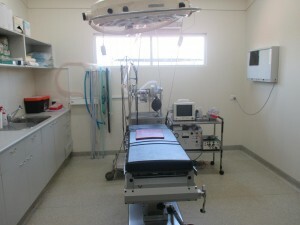 We understand that it is a worrying time when your pet stays with us for any procedure. Our veterinarians’ high level of expertise and our practice’s fully equipped surgical suite allows us to perform the vast majority of both soft tissue surgical procedures and orthopaedic procedures that your pet may require. 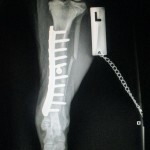 Soft tissue surgery encompasses any surgery that is not related to bones. 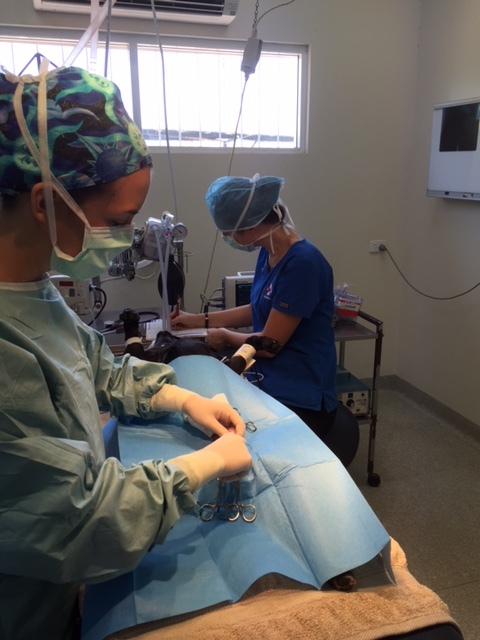 It includes procedures such as desexing, exploratory laporotomies, caesareans, lump removals, biopsies, wound stitch-ups, removal of intestinal foreign bodies – the list is endless! What do I Need to Think About Before Surgery? The night before surgery your pet must be fasted at least 12 hours prior to admission for surgery or as indicated by your veterinarian. For your pet’s safety and well being this is very important and we ask all family members to make an extra effort to ensure food is not available to your pet. Your pet may have access to drinking water up until the time of admission to hospital. 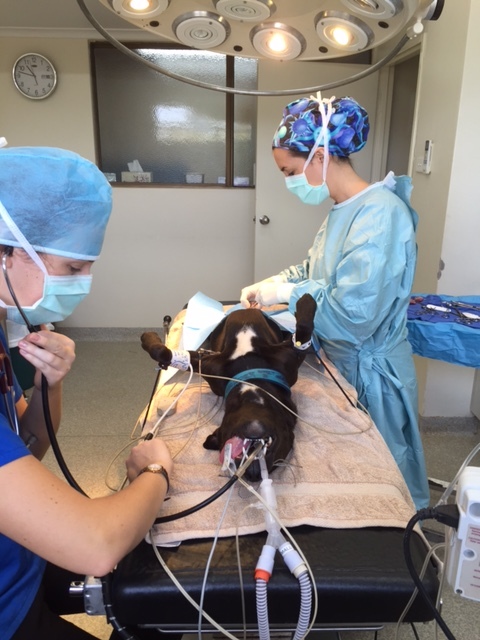 Although we are using the best and safest techniques, drugs and equipment possible, any type of procedure (whether for animals or humans) poses some risks. These risks are often related to underlying medical conditions that may not be apparent externally. To decrease these potential risks we highly recommend pre-anaesthetic blood testing, particularly for pets 8 years of age and more. The panel of laboratory tests checks the function of your pet’s major organs, such as the ability of the liver and kidney to rid the body of drugs and medications. We are also able to identify abnormalities in blood cells which may affect the blood’s ability to carry oxygen, fight infection and prevent excessive bleeding during surgery. Your pet will not be able to have a bath for at least 12-14 days after sterile surgery, therefore if your pet requires bathing we recommend that it be done prior to the day of surgery. Is my pet due anything? Now is a good time to make sure your pet is up to date with vaccinations, micro chipping, nail clipping etc as these things can all be done whilst your pet is under anaesthetic. When you first arrive at the hospital we will ask you to assist us in completing an admission form which includes contact phone numbers, as well as relevant information about your pet. If your pet has recently been ill or is on any medication, and we are not aware of it, we also request that you share this information with us. This is also a good time for you to ask any questions if you are not clear on any aspect of the procedure. What Happens When They Are in Hospital? Once your pet has been admitted, we will perform a health check up and administer a sedative. This will help your pet relax and will reduce the dose of anaesthetic drugs required. In due course, an anaesthetic agent will be administered and an attending veterinary nurse will monitor your pet’s vital signs right through to recovery. We will call you as soon as your pet is awake. A veterinarian or veterinary nurse will explain how to take care of your pet at home, and provide you with written instructions on any care, medication or revisits required. Full payment is required at time of discharge.